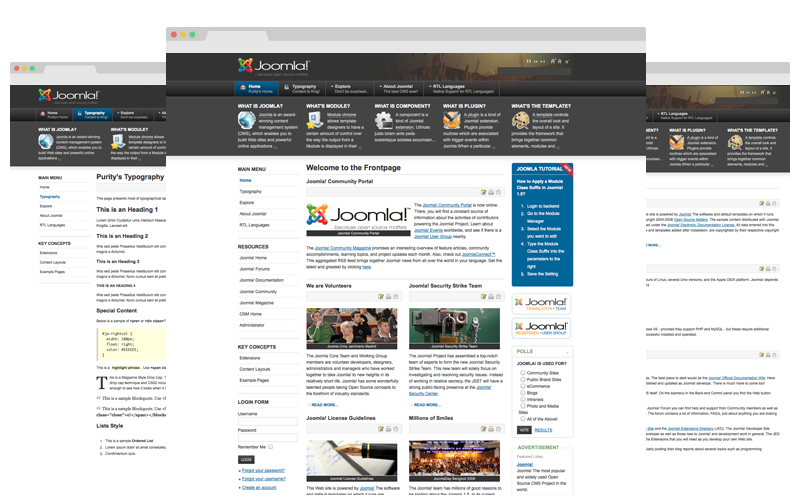 JoomlArt is the proud developer of T3 Framework for Joomla! Templates. The very first version of the framework was released back in August 2009 along with the beautiful yet powerful JA Purity II template. T3 framework features surpasses any other available framework and it is the first framework to support iPhone or other handheld devices, RTL (right to left) languages. 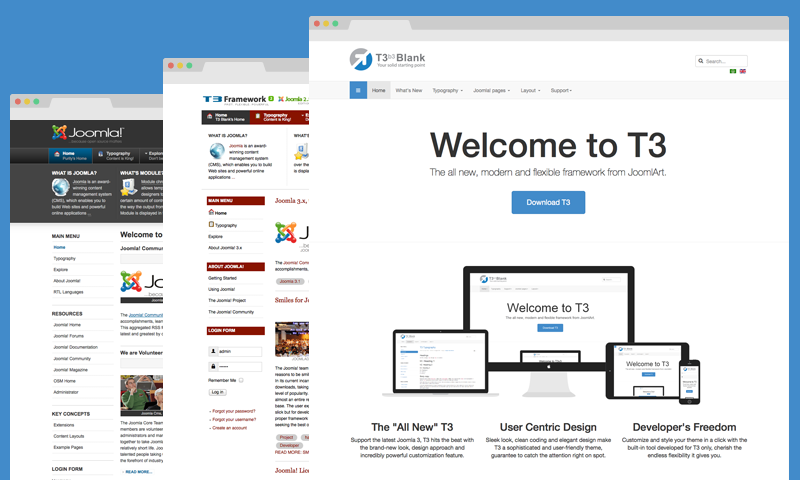 T3 Framework recently has released its latest version T3 Framework version 3 (2013) support Joomla! 2.5 & 3.1, which has been rebuilt up from scratch and is not upgradable from the previous T3 framework version: JAT3 Framework version 2. This brand new T3 Framework version 3 has again proved with the Joomla! 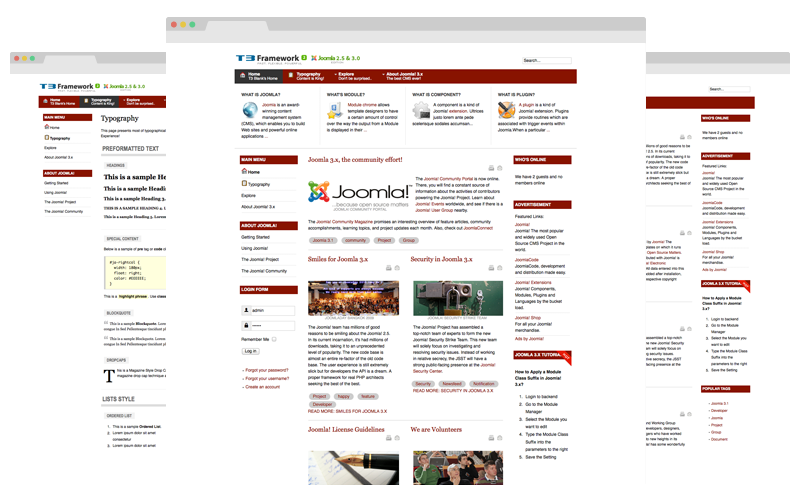 community its out-of-the-box features, being the first Joomla! responsive framework and still determined to support RTL languages into its core. 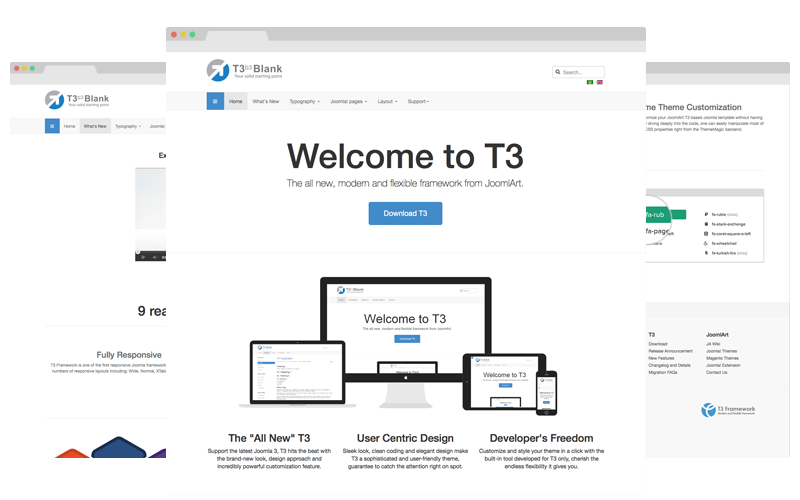 T3 Framework Version 3 for Joomla! First responsive framework for Joomla 2.5 and Joomla 3 makes theme customization much easier without diving into the code. Oustanding feature including: ThemeMagic, Megamenu Configuration, Layout Configuration, support RTL at core, and much more. Integrated Bootstrap: T3 Framework is integrated full features and components from Bootstrap aiming to standardize your grid, typography, and modules in just a few clicks away. LESS vs CSS: T3 Framework is developed with LESS (open-source dynamic stylesheet language) and can be compiled to CSS at any time. Support RTL at core: All templates developed with T3 framework version 3 will support RTL (right to left) by default. Status: T3 Version 3 supports latest Joomla versions: 2.5 and 3.1. JA T3 Framework version 2 for Joomla! Features: Second generation framework, now supports custom theme profiles, custom overrides, layouts edits and much more. Features: Too many, we had to make wiki section for it. Purity series are the flagship designs released by us for Joomla!, Magento and Drupal. Purity designs are free & released under GNU/GPL (other than Magento Purity Theme). Purity series are classic, neat professional designs with complete set of features at par with our commercial club templates. Such is our commitment that, Purity releases are always the first to roll out with updates and bug fixes, followed by our club templates. JA Purity II for Joomla! JA Purity II, was the first template with JA T3 framework and its success has surpassed our expectations. Released under GNU/GPL license and is free to download. Always the first to be updated with improvements and bug fixes. Certainly the best free Joomla! template available. JA Purity has made us proud by winning the Official Joomla! Template Competition in 2007 and is now one of the default template bundled with Official Joomla! 1.5 releases. JA Purity is officially maintained by Joomla.org.